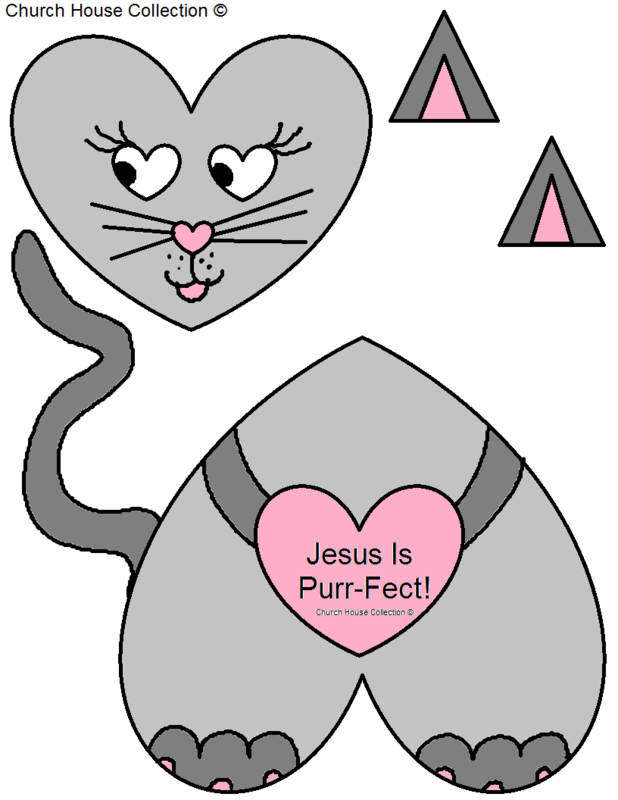 This is a "JESUS IS PURR-FECT!" Kitty Cat craft for kids to cut out and assemble. Use this for Valentine's Day in Sunday school or children's church. I made two different templates. 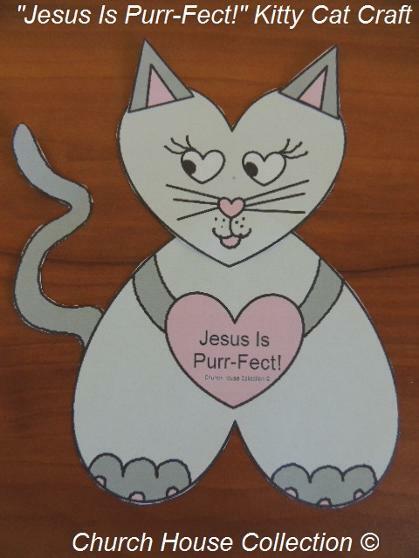 One has the words "Jesus Is Purr-fect!" and the other template has the words "You Are Purr-Fect!". Just have the kids color the picture first before they cut it out. You can easily use tape to assemble the cat together.